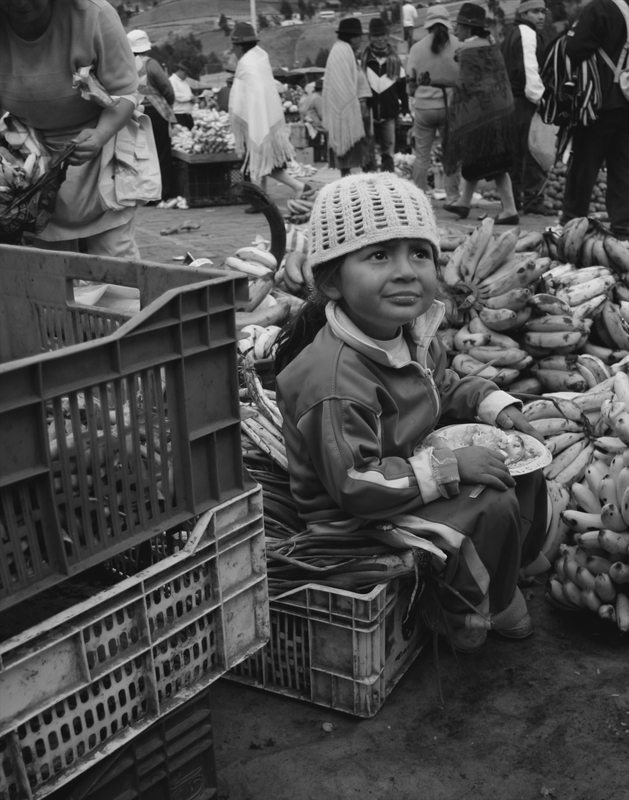 Locals visit the Quilotoa market, high up in the Andes mountains, starting at 6am on Saturdays. People purchase fruit and vegetables, clothing and crafts, along with live animals or prepared meats. It is common to see children working alongside their parents during the day. It is also common to see animals tied down and riding on the top of public buses on their way back to their new owners’ farms. This particular day I was wandering around the market with my camera. I came across this child working at her family’s banana stand and captured a few frames.